Coming to San Mateo to hunt some job opportunities? Looking to teak a break from the rushed, urban city life? Well, whichever it is – you’ll love the place! Plus, with San Mateo’s nearest taxicab service, getting around places and switching between the areas served will be a piece of cake. Look no further than Yellow Checker Cab for amazing taxi rates, wheelchair accessible vehicles, taxi gift cards, and all other of your taxi near me related needs. 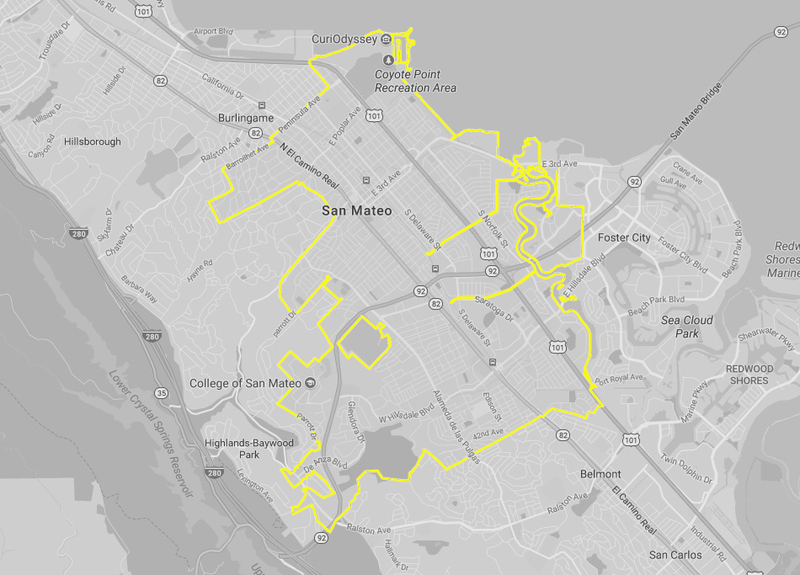 What makes San Mateo special? San Mateo is home to many famous companies such as GoPro, NetSuite, Sony Interactive Entertainment, etc. so the fact most people are visiting it for job hunting or interviews doesn’t surprise at all. However, since the city prides on its delightful Mediterranean climate and plenty of outdoor space supporting multiple in-nature activities, many people are turning to it for those exact reasons. But, how do you go around town easily and get everywhere on time? By taxi! In San Mateo, all the locals are doing it just as do visitors! So, if you are looking for a professional, quick and top-notch quality cab fare anywhere in, to and from San Mateo – Yellow Checker Cab is your go-to. The entire team of the best taxicab near your location understands the importance of your time and, therefore, looks to be well-organized and efficient in their taxi service execution. Need airport transfer? Done! Want to book a corporate ride in the vicinity? Yes, please. Riding with San Mateo’s trusted yellow cab nearby is always a pleasant and professional experience. What can I see in San Mateo? The downtown of San Mateo is one of the more prominent, busy areas of the Silicon Valley, located just east of the El Camino Real, where most of the population is situated, as well. The staggering number of over 800 shops and restaurants located in the downtown core is there to make sure that there is a place for virtually anybody’s taste. Many of those shops and restaurants are set up in buildings that do an impeccable job of showcasing the architecture of late 19th and early 20th century, which is a breathtaking sight to revel in. Japanese culture has been quite influential in this area bringing plenty of Japanese restaurants and shops to focus throughout the downtown area. This can also be seen in the San Mateo’s Central Park, embellished with picnic areas, tennis courts, a baseball field, a recreational center, and even a Japanese Tea Garden. In addition to the Central Park, San Mateo downtown area has a modern, 12-screen movie theater that is the focal point of entertainment. Other notable areas in San Mateo include Hillsdale, which features the largest mall in San Mateo with over 100 stores in the mall itself. Can I get a taxi to Hillsdale? Absolutely! If you head to Hillsdale, you’ll get to enjoy a bowling alley too as well as a prestigious movie theater. Whether you are visiting San Mateo or you are a local, if you find yourself in need of a reliable, fast taxi service, you can easily book a ride with Yellow Checker Cab. Available 24/7 throughout the year, your Yellow Checker Cab is only a call at +1 408-777-7777 away. In addition to calling you can book a ride through the website or by using Yellow Checker Cab booking app.